“Deputies seized nearly 100 pounds of methamphetamine worth more than $2 million from two homes in Portland and Gresham.” Guns, heroin and $30,000 in cash were also seized. Sounds like some darn good police work on the part of the Multnomah County Sheriff’s Office. Here’s where I have to be a little tactful – you know, in light of Portland’s Sanctuary City thing. Nothing was mentioned in the newspaper article as to whether or not those arrested - Alfredo Narcisco Pineda, Alejandro Lopez Gonzales or Celso Marroquin Benitez - were in the United States legally. 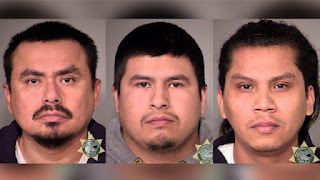 Yes, I’m aware that the Portland Area City and County officials would probably say that the citizenship of these three criminals (alleged) is none of the public's business and even to consider such a thing is blatantly racist. OK, OK, I get it; but to continue… Let’s see, how did the Multnomah County Sheriff’s Office possibly crack this case? Could it have had something to do with the arrest of Salvador Martinez-Perez, in mid-February, when his semi 'produce' truck ran in a ditch in Sherman County (North Central Oregon)? And, 'lo and behold,' hidden among the bell peppers was a large quantity of meth, heroine, and cocaine valued in excess of $1 million – likely en route to Portland. Could that have been a lead? Oh yes, and incidentally, law enforcement did opine that it is likely, in view of the vast quantity of illegal drugs and other drug paraphernalia recovered in the recent arrests, that a Mexican drug cartel is probably involved. 1) The four individuals, mentioned above, are here illegally, have close ties to a Mexican cartel; and perhaps were sent and settled into the Portland area due to the City’s ‘welcoming’ pronouncements by City leaders. 2) The four individuals are citizens by birth or are perhaps “Dreamers,” by President Obama’s definition – and that said four were on a college sponsored field trip to Mexico, maybe a research / study type program, when they were inadvertently introduced to a Mexican drug cartel. I know, it’s none of my business what brought these four to Portland and whether or not they are here legally, whether they have been deported before, or why they were here in Portland in the first place; but inquiring minds want to know. I’d like to know. The four, and perhaps others, were undoubtedly planning to dump this poison in our communities. Shouldn’t we know these things? Many people, the vast majority I would venture, and particularly young people who seem so eager to demonstrate (sometimes violently) in support of Sanctuary Cities, are misinformed about why City and State Administrators often promote the concept. I’ve been researching immigration law and the various interpretations of the law. I started writing this long essay based on my research; but have given that up. It became a futile and tiresome project. Hit delete. Start over. Illegal immigration is one of those issues, like ‘guns,’ you can research and discuss the subject; but no one is actually listening. And facts? Eyes glaze-over. Facts be damned. No one cares. We, of course, have definitive federal immigration laws. It quite clearly is against the law for foreign nationals to enter this country illegally. The first time is a misdemeanor, to include deportation. The second time is a felony. Federal, State and City administrators have often taken it upon themselves to defy or ignore said law in the name of ‘compassion,’ hence Sanctuary Cities. The ‘compassion’ justification is phony. It is a deception. It is a lie. That’s one way to look at it. However, in reality it’s the hotel owners and their shareholders, agribusiness and their shareholders, as well as many other contractors and businesses who profit. But, who often picks up the associated tab? The taxpayers will pay to cover all manner of public services provided to the ‘illegals.’ Additionally, there is an increase in crime. Yes, there is. Look it up. 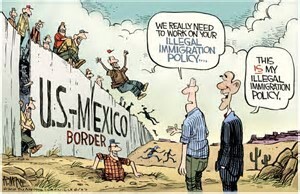 Research how many illegal immigrants now reside in our prison system. Many politicians, of course, are on board with allowing ‘illegals;’ and often receive the support of those influential members of the community, stated above, who ultimately profit. There are ways to solve the problem. If we need more immigrants – allow more to enter legally. If you want to stop illegal immigration, levy a large fine on anyone who hires an ‘illegal.’ Of course, there would have to be some sort of legitimate system to easily verify who is actually a citizen of the U.S. and who is not. But, you see, that’s not going to happen any time soon. Enforcement would create for some very rich people an inordinate increase in their overhead. It is about, low cost, low maintenance, labor. It is, after all, for the movers and shakers of industry much more cost-effective to purchase a politician who will support their view. My response to that would be: In that our ‘system,’ at the local, state and federal levels, not only permitted this immigration travesty, but in many ways encouraged it, our federal government should make every effort to accommodate, in some way, the honest residents who are now here illegally; but to round-up and deport the others - to include those convicted of grievous misdemeanors (crimes against persons) and all felonies – no exceptions. To read my previous post click here. A ‘Sanctuary City’ or in some instances a ‘Sanctuary State’ has a stated policy to protect illegal immigrants by not enforcing federal law or cooperating with federal law enforcement agencies in immigration related enforcement. 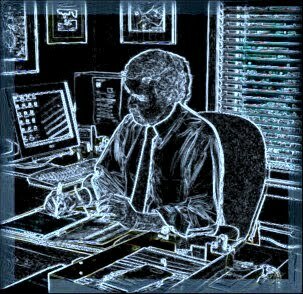 That policy can be expressly set forth as a law or just observed in practice. Reason #1: Cities have influential citizens (the political donor class) who, for business reasons, require a considerable influx of cheap, hardworking, dependable labor. And, incidentally, it doesn’t hurt for the employer to have a little extra leverage in dealing with these workers (‘illegals’). The employers that I’m referring to are the owners and managers of hotels, motels, restaurants, construction operations of all types, as well as landscape and maintenance, ad infinitum. Said ‘illegals’ are not normally public employees in the immediate sense, but work for the countless companies that contract with the city and / or support the tourist industry. Reason #2: The majority of the city’s voting constituency is in support of the ‘sanctuary city’ concept, even though the vast majority of the public does not understand what is involved, what it means, or how that might personally impact them. The typical Mayor of a city, such as Portland’s Mayor, Ted Wheeler, would principally focus on ‘reason number one;’ because ‘reason number 2’ could be easily neutralized or eliminated by any good PR firm. Besides ‘reason one’ is where the money is. In my previous post, I referred to Ted Wheeler as ignorant or stupid because of some of his recent comments and his strong support for the ‘sanctuary city program;’ as well as his strident comments to defy President Trump - regardless of the potential loss of federal funds and the impact those lost funds will have on City residents. OK, the Mayor isn’t stupid. 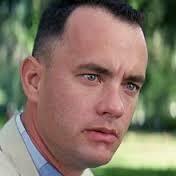 Well, maybe, if you want to use Forrest Gump’s definition; and perhaps I’m tending to give the Mayor too much credit. Forrest Gump might be right. For Reference: My previous post. Next, I would like to discuss the law enforcement issues.